UPPER WEST SIDE, Manhattan (WABC) -- Police are investigating what caused a guest to fall out of the 10th floor of a hotel on Manhattan's Upper West Side. It happened at the Days Inn Hotel on West 94th Street Saturday afternoon. 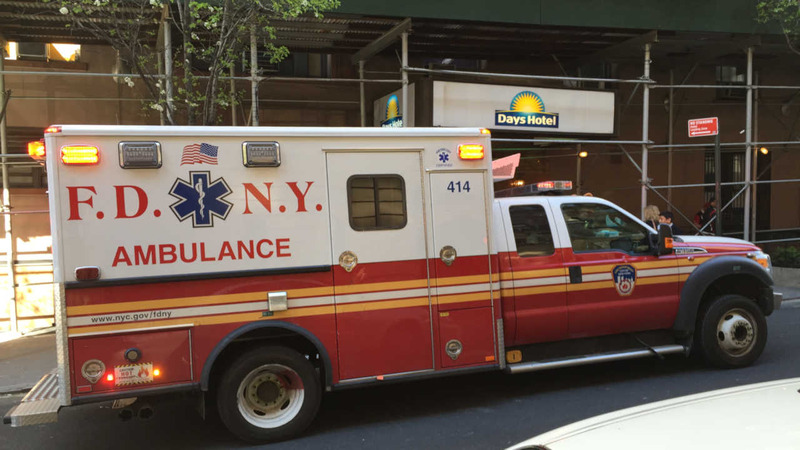 Police say the 29-year-old man fell 10 floors from a hallway window at the Days Inn Hotel on West 94th Street and landed onto a shed. Police are also trying to determine whether the man fell by accident or was pushed.